This is a Sponsored Post written by me on behalf of Syndacast. All opinions are 100% mine. With 2009 coming to an end in just a few week’s time, what are your plans for a year-end party? I bet none of the parties that you could be attending would rival that of Mike Teo’s! Mike Teo is one lucky guy who is about to have one of his 6 crazy wishes granted by Carlsberg during his New Year’s Eve party. 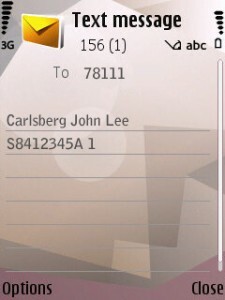 Carlsberg will grant one of the following wishes to Mike and his friends at Celebrate 2010, the biggest countdown event at The Float @ Marina Bay on 31 December 2009. 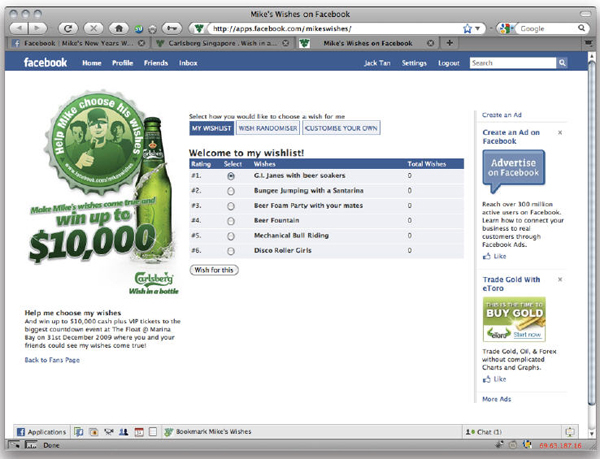 I sure would like to see how Carlsberg creates a Beer Foam Party and you know what, we can play a part in making any of Mike’s wishes come true! You can vote via sms or Mike’s Facebook page on the wish you would like to see happening during the year-end party. The VIP tickets include access to the Carlsberg Lounge on the floating platform, free flow beer and finger food, and a chance to meet Mike and experience his wishes. General admission tickets to Celebrate 2010 for winner and 1 friend. Mike will attend the party with his friends, VIP style, where he will see one (or more) of the top 3 nominated wishes come true! Mike will also get his moment of fame on stage, as he helps the party team countdown to the New Year! Mike and Friends, plus all lucky winners from SMS and Facebook votes, will celebrate with Carlsberg and experience some of the wishes at the Carlsberg VIP Lounge on the floating platform. We should thank you for giving such a creative portal. this site is not only knowledgeable but also bvery imaginative too. There normally are only few bloggers who can write technical articles that creatively. we are on the lookout for information on something like this. We ourselves searched in dozens of blogs to build up on knowledge regarding this.Keep me informed when you write more on the subject ! !